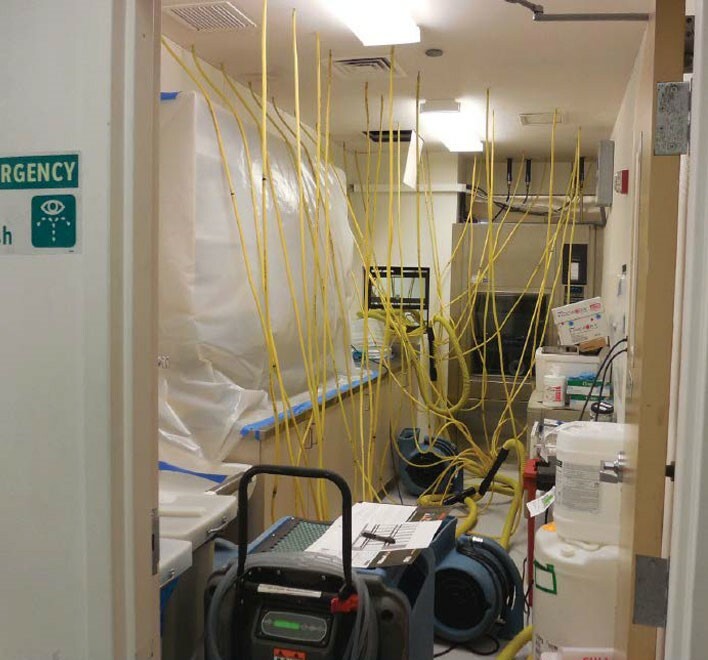 A main water supply line in the building housing the surgical center broke and flooded the majority of the facility. We were called by the adjuster because none of their go-to vendors could handle the complexity of the water damage. Due to the high volume of surgeries in the facility, timeliness and thoroughness were paramount. We dried everything in place and then scheduled repairs to occur over a pending holiday weekend. The decision to do this allowed the clinic to remain in operation and continue to generate revenue. We provide prompt, 24-hour-or-less emergency response to events affecting businesses, commercial and residential settings. A complete arsenal of extraction solutions for water removal, drying, and dehumidification to return your affected facility or residence back to pre-event quality. Comprehensive, state-of-the-art removal of all microbial hazards supported by professional third-party verification of all work done. Full removal of all building materials affected by fire damage. A thorough removal of all odors associated with the fire. We use market-leading drying and dehumidification technologies to quickly and professionally reduce the damage caused by water. Drying of complex commercial structures requiring specialty drying equipment and training. We have the equipment and are one of the best in the industry. We offer a complete packing, inventorying and relocation service for building or residential contents providing a secure location during structural repairs and mitigation. We offer exhaustive restoration of contents and documents affected by water, smoke or sewage. We provide professional, controlled removal of building or residential components with an emphasis on salvaging and appropriate retention of non-affected areas. Unlike many operations locally, we offer an inclusive set of reconstructive services, ensuring occupants are not left to wonder who will finish the job. Professional cleaning and treatment of air conditioning ducting, reducing allergens and microbial hazards. Temporary engineering controls to supplement or replace existing building HVAC. We forensically identify the source and remove any and all unwanted odors in your indoor environment. A complete set of temporary engineering controls to supplement or replace existing building HVAC systems. 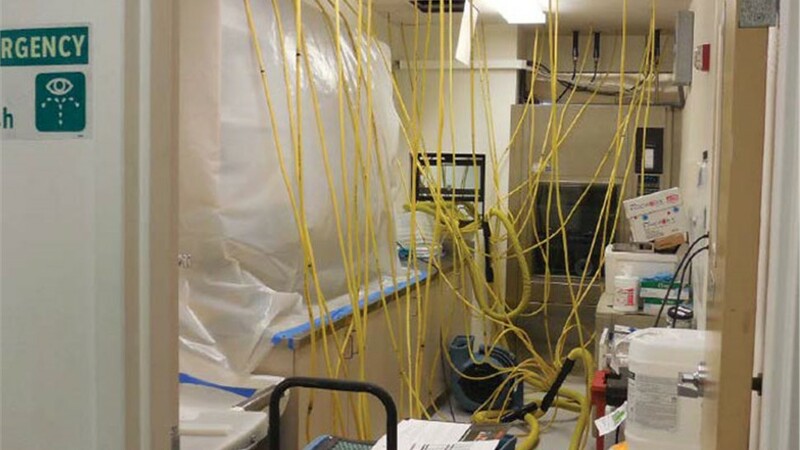 We provide temporary engineering controls to remove allergens and microbial hazards in the air to provide a safe working and living environment. A critical early step, we quickly and securely seal up a property when the building or residential envelope had been damaged from an accident or sudden event.